The story of Capt. Matthew Webb is the starting point for modern Open Water swimming. While there are other famous open water swims from before this time, Byron & Hellespont being the most famous, the dream of swimming the English channel was alive and well in the late 19th century, with other attempts before Webb’s first successful swim. 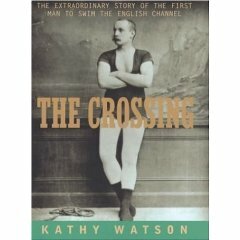 Watson’s book is a brief affair and an easy read, focusing on Webb’s biography as well as the successful Channel Swim itself, following an unsuccessful initial attempt. Webb’s life was not a happy event. He was successful in his Merchant Navy career and a decorated hero for a mid-Atlantic life-saving attempt. 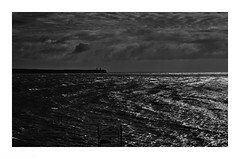 After the Channel swim made him famous though he spent the remainder of his life chasing further fame, to lesser and greater degrees of success, but never to the same level as his Channel swim had achieved. He drowned attempting to swim the rapids below Niagara Falls. It’s a depressing enough life but the book is enlivened by such items as the story of Paul Boyton , the “Fearless Frogman”, & Webb’s main rival, (and funnily enough to us), not a swimmer and wearing a an inflated rubber suit, who papers reported appeared before 100,000 people in Ireland. This isn’t the definitive book on Channel swimming, which hasn’t yet been written, but it of interest to swimmers nonetheless. My main problem with it was the workman prose, which never matched the flow of its subject.